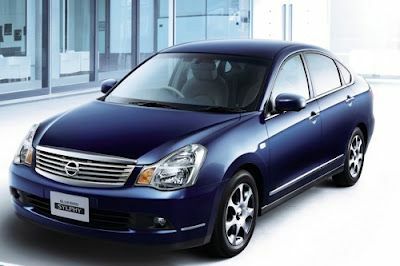 Nissan has announced that the 2013 Sentra will be made in the U.S. and will begin production this fall and that the Frontier and Xterra will also be moving to the same production facility. Nissan says that production of the all-new 2013 Sentra will move to its Canton Vehicle Assembly Plant in the fourth quarter of this year. The CVAP, located in Canton, Mississippi, will also receive production of the 2013 Frontier pickup truck and Xterra sport utility. The workforce at the plant will be augmented by another 1,000 jobs, growing the total employee base at the plant to more than 4,500. The Frontier and Xterra share a platform and are currently produced at Nissan's assembly facility in Smyrna, Tennessee. The governor of Mississippi, Phil Bryant, announced the move by Nissan to increase the Canton plant at a press event alongside senior leadership from Nissan, hundreds of plant employees, and the community. "Nissan has been a valued member of our state and local business communities and a leading employer in Mississippi for nearly a decade," said the governor. The CVAP is a 3.5-million square foot facility sitting on 1,400 acres just outside of Jackson, Mississippi. Nissan's total investment in the plant to-date is over $2 billion. Canton currently builds the all-new 2013 Nissan Altima, which is Nissan's best-selling vehicle, and the Armada full-sized SUV along with its pickup truck brother the Titan. Adding the three new models to the plant will make it a global production center for the company and one of the largest body-on-frame assembly facilities in Nissan's porftolio. Nissan began production in Mississippi in 2003 and has steadily grown its presence in the community and the state as it's added more and more jobs to operations there. The state is quickly becoming the American headquarters for the company's global reach as Nissan grows its market share. Great...more foreign owned and non-union "assembly plant" cars sending more American $ overseas to come back and buy up more pieces of our pie on our own soil. Have we no pride? Especially since Americans are rooting for the USA for the 2012 Olympics...not Japan! Foreign automakers have gotten US tax dollar subsidies to the tune of over 4 BILLION dollars (not including things like a a special free trade zone down South to IMPORT their parts) When are American going to understand that ownership is "control" and July 4th celebrates INdependence...NOT relying on foreigners to employ us and bring things like two-tiered wage systems here to lower our wages! Just try going overseas and telling THEM to break their unions or take over their important industries and see what happens! Most "American" cars are built in Mexico, pal. Wake up and smell the coffee: unions have destroyed American car making and have themselves already received HUNDREDS OF BILLIONS in bailout payoffs. When are you going to understand that even these "American" car companies are not domestically owned or controlled. They're GLOBAL just like Nissan, Toyota, etc. are GLOBAL. Most of GM's income is from foreign sales, not domestic, and most of their vehicles are built overseas, not here. Same with Ford. I guarantee that if I came to your house right now and cataloged everything you own, 90% or more of it was not domestically made or sourced. Hmmm...would you rather have the money go to corporate in Detroit or Tokyo? You must love sending money overseas as we lose our industries. Do you like a two tiered wage system? The Asians brought that to our shores. Check out or Google the 06/08 EXPOSE titled "The Toyota You Don't Know-Race to The Bottom" to get a taste of what's coming here. This is the same group who exposes slave labor overseas. True patriots aren't "global"...the four men on Mt. Rushmore were protectionists as well as our first 5 presidents! Study your history,..or are you smarter than our founders or on the take like most of our elected officials? I guarentee that YOU don't know where GM's money goes let alone foreign OWNED cars like Nissan. I do know... July 4th means INdependence day! Have you ever heard the term "sovereignty?" Our founders are rolling over in their graves after risking their lives for it as the profiteers who are loyal to NO nation give away the farm. The GOAL is to manufacture again in the US, not lie down and die for the globalists. Sorry, an new day is coming...just like Google announced today that they will manufacture the NEXUS in the US. The Buy American trend is growing so that homes will eventually be filled AGAIN with quality goods instead of junk from CHEAP imported goods. Don't worry about me "pal" I have plenty of made in USA things in my home, including clothes. Try a few made in American websites and NOW there are even brick and mortar stores... it's EASY to buy from them! Americans should be happy about that, that is, unless you're not an American. Global or not...just like the Olympics...you should root for the HOME team and hope that GM sells overseas for a better America, not for the other team winning all the gold OR our industries! Shame on you and the politicians selling their soul to the lobbyists of the profiteers, US consumers need to take control. YOU and those like you need to wake up and stop being so apathetic where your sustenance comes from before Americans turn into HG Well's "Eloi" people at the mercy of the foreign "Morlocks" who will "devour" iconic industries on our own soil! Your rant undermines its own logic. Thanks for making it obvious that you have no idea what you're talking about. I don't have to say more. To " BUY AMERICAN " whether you want to agree with it or not Aaron could not have articulated it any better . In case you have not noticed our world today is dramaticly changing literally everyday . And I understand many people are reluctant to change BUT ( and I have to agree it is kind of unfortunate ) those who do not are going to become so far behind the times . The reality of the matter is that we will never experience pre and post World War II times ever again and the most powerful country in the world has to do almost whatever it takes to stay competitive in an ever changing global economy . Domestic content on these cars will be on par with Detroit. As far as your BUY AMERICAN comment goes....look around your own house...probably full with imports. The Japanese automakers are spending billions on new plant and equipment. The American automakers are shuttering plants...Why?? ...high costs...poor work rule agreements that hinder productivity. Subsidies?????? What do you think the GM/Chrysler bailout was??? Your just angry about Unions...or lack there of.... Unions are why this country is in decline. Buy the best product for your hard earned money! If you want "domestic" then buy domestic. If you want European,Korean, or Japansese, buy it! Do not allow yourself to be bullied or pressured or lectured by these Billy-Bob redneck types who sit around on thier fat behinds watching NASCAR all weekend! Detroit and the domestic automakers basically screwed THEMSELVES by making INFERIOR products while UAW union thugs became rich! Gee, I wonder who's being more "unpatriotic",...the consumer, who only wants the best for his/her hard earned money or the crooked,greedy labor unions who steal from the taxpayers while building shoddy products at thier Detroit or Mexican plants?? Detroit doesn't have a good track record, and if it weren't for the bailouts, those companies,(save Ford probably) would've been hung out to pasture and rightly so! So their making it here in USA where 70% of the employer is lazy and don't give a damn on thier job, 2013 sentra will be missing alot of bolt and screws, give it a year when it came out there will be a massive recall or just hide the problem. I see that all of the previous comments here are rather smug and arrogant, based on emotion rather than logic. The consumers have never had a choice about what products are sold and where they are made. We can only buy what the corporations put out on market. We can only make the choice to buy what others have decided to sell. To blame unions for the decline of American car manufacturing is disengenious on Aaron part. GM has been unionized since the 1930's and the decline has only been since the 1970's with the oil embargo from OPEC. American car manufacturers did not respond to America's need for smaller cars in time and hence the Japanese entry into the market. Even today GM and FORD keep making big trucks and SUVs and just as soon as we have another oil crisis they will be in a crisis too. I can understand some people being ambivielant about unions, but when I see comments like Aaron i see the anger and wonder why does he care if the workers that built his car are union employees, what does that have to do with anything? Suggesting that non-union employees work better that union employees is without basis. As we have seen in recent years, Japanes car manufacturers have had their fair share of major problems and have even gone so far as to try and hide serious problems from the public. Would you like to see our skyscrapers built by cheap unskilled labor or certified, skilled craftsmen, that are union employees and get paid well for their knowledge and hard work?